What are two things on your summer to-do list? We have our winners! Congratulations to Christina M. and Donna P! Enjoy some relaxing time, sleep in. Spend time sitting around the pool with family! and… hmmmm… enjoy no alarm in the morning. Take kids to a muesum. Go camping. Get my house/yard in order and read, read, read! 2. Straighten up my craft room. Move and set up my new classroom! I want to go to the top of Mt. Greylock – highest point in Massachusetts; and lose 5 pounds! Spending time with our big family,vacationing and tending to our vegetable garden. Go swimming at the beach. Spending time with my family and teaching summer reading! One thing I plan to do is to visit my son and family in Texas. Another thing I plan to do is to spend a week at the beach and go to two concerts! clean my house and read! 2. Take time for ME! I plan to have a relaxing vacation in Hawaii and try to not be stressed about miss v four weeks of summer since my district went against everyone’s wishes and moved up our start date. Read and spend time with friends and family. I’m excited to go camping and read a few books! Visit Upstate New York & Niagara Falls; go through my school supplies to see what I need to keep & what I don’t. Get the household chores done….those that have been neglected over the last few weeks of May, and take a trip to Nantucket Island. Go to Vermont, pack a U-Haul and drive back to Arizona is first on my list for this summr and second is to finish the Harry Potter series again ( I am almost finished with The Half-Blood Prince) and watch the movies to go with the books. If I have time, I will do quilting and work on graduate classes. Redo back yard, build fence for son, camping. I know its three things, but I never was good at math. Organize/declutter my house and Spend time with my family. Organize my kitchen and clean out my clothes closet and giveaway what I don’t wear anymore. 1. Craft teacher at Vacation Bible School. 2. Clean out for Goodwill and enjoy my family. Celebrate my birthday this month! Return to my gym class and read as much as possible. Go to Hawaii and sleep late! The list can be long or short but family, books, fun and school are all involved. Take my daughter to Dollywood for her 19th birthday. Spend time with my family, read, clean out my garage and relax. Change classroom theme and spend time with family. Relax and catch up on reading!!! spend time with family and travel! Write one letter to my adopted soldiers every day and finish the World War II project that I am working on at the museum. Get the house in order and go to the beach. Go to the beach and plan for next year. Raising our baby bottle calves on the farm. Taking my son on new adventures. Relax and spend time with family! Spending the summer with my kids and vacation!! Work on my scrabooking and catching up on my reading! Read at least one book for pure enjoyment and create new task boxes for next year. Spend time with my grandkids, go for walks and read. Enjoy time with family and go to my daughter’s college graduation. Read and plan and prepare for flexible seating in my classroom next year! Take a trip with my grandkids, and camping with my husband. Organize my craft room for more me time and spend lots of fun time with my grandson Tanner!!! Two things on my summer to do list…visit Las Vegas and organize the closets and cupboards in my house!! Cruise with my husband – moving from 8th grade ELA to third grade next year so I’m resting up!! Teaching summer school and relaxing when it’s over. 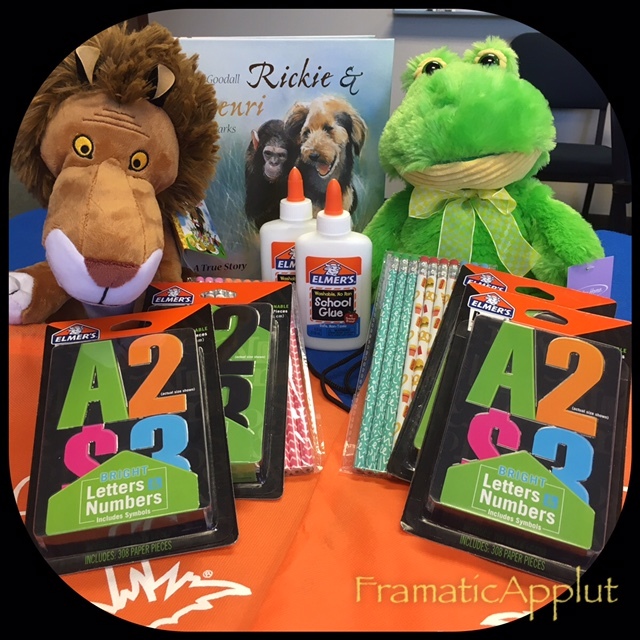 My two summer to-do list…….clean out my classroom and reorganize my phonics/ spelling words sorts. Oh and relax and enjoy take care.of my garden! Read several new books that I’m adding to my classroom library and catch up on my doctor/dentist visits! Reading and preparing my new classroom! Work on alternative seating for my classroom and find a new hobby. I will work on a few projects and read. Spend time with Family & relax!!! Plan a graduation party and relax with books that are not for little ones. Get in shape and spend time with my own kiddos! 2. Relax and think of new things for next school year! Play with my daycare kids and see family! Swimming in my pool and mini- day trips. My child care center is year round. 1.) Moving into my new classroom. 1 – organize my personal classroom library. I’ve started and typed 200 into an excel file while organizing them into boxes by series/author and have finished my chapter books… now time to start the picture books (and find more boxes). I always find books at garage sales for 25 or 50 cents so I can’t pass them up. Spend time with my Family and deep clean my house. Read and spend time in the pool. Explore more and spend time outdoors! Sleep in, and recover from my first year in full-day K! Spend time at the beach with my family and catch up on my reading. I have a stack of books I’m working on. Catch up on rest and unfinished books and travel!! I am finishing writing the curriculum and lesson plans for my preschool room next year. Also spending time with my family! 0nly two things? I am catching up on reading and have Professional Development things to do. Spend as much time with my boys…one leaves for college in the Fall. Dig into our new Reading curriculum & enjoy my time at the lake. ???? I love gardening and have limited time while teaching. Now that school is out, I can get my hands back in the dirt, and back to enjoying taking care of my flowers. Then off to the beach to spend precious time with family to relax….It’s the best! Of course, I’m always looking for new ideas for my preschoolers over the summer…I enjoy that too! Have a safe and happy summer! Read and get things ready for my classroom! Float in the pool with a bottomless Pina Colada and read! 1. Encourage my kids to read to me, and to read to each other. 2. Play outside and enjoy the summer weather with my kids, dog, and cat. 1) Finally spend time with my husbNd and kids, he’ll be back in July/Au. He’s been gone since January. Play with my cameo and read for fun! Go to the beach and plan some new activities for my PreK’rs! Read a non-children’s book… and reorganize my classroom. I know I am only supposed to list two of my plans, but all three of these are at the top of my list. 1. I plan to spend more time with my ailing husband. 2. I plan to spend more time outside working in my flowers. 3. I teach preschool and I plan to ‘get all of my ducks in a row’ before we go back this fall. I have taught a Head Start class for more than 20 yrs. I have used Mailbox for the most of that time. I love getting the magazines in the mail! The Mailbox Gold online is awesome too! Thank you for what you do. It has really been a great blessing to me over the years. There are always new activities that challenge, and keep the children interested. It makes it easier for me to plan fun activities that will help the children meet the goals we set for them. I never get tired of getting my magazine in the mail or finding another e-mail from you! It is something that I look forward to on a regular basis. 8 more days of summer schools, traveling, swimming, reading and definitely spending time with my family. It is time to relax and recuperate. I plan to rest and, hopefully, clean my house. Move my classroom and relax with my family. Read as much as possible and spend some time rejuvenating for the new year. Enjoy time with my family and get my house organized. Celebrate my 50th in style and go on a fun adventure or two! Heal from rotator cuff surgery and enjoy gardening. I clean and discard items that have not been used. I also try to read as much as I can! Swimming with my kids an watching my husband drag race. Spend time with my family and get ready to send my girl to college in the fall. Play with my son and enjoy the sun. Spend time with my family and get my learning materials in order for next year since I will no longer have an assistant. Hang out with the family while putting our fire pit to some good use. And enjoy a lot of TBucket rides. I will be spending my days with summer school, working as a special education paraprofessional teacher incorporating lots of crafts in our lesson plans! and making time for myself so I will be ready for a new school year!!! Catch up on reading and work on my scrapbooking. I plan on leveling my classroom library and read. Relax with a good book and spend time with family. Prepare for my very first classroom and relax as much as I can before what I know will be a hard, but rewarding, first year teacher experience!! 1. Paint the living room. 1. Rest more; meditation and focus on God. 2. Enjoy the rest that results from observing the above. I would love some time at the beach and a huge Fourth of July barbecue with family! Look into getting my certification and spending a ton of time with my two girls. Some beach time, reorganize my closet and make new kitchen curtains. I’m taking my 1 year old daughter to Disney for the first time and work on my home. Hang out with the family and online grad work. Teach since our preschool is year-round and spend some extra time with my own kiddos not having to worry about their schoolwork! Change the theme of my classroom. And have fun with my kids! Prep for a new grade level…I’m moving to Pre-K! Also catch up on all the reading that I never have time for! Potty training my daughter and reorganize my classroom! Read and do some laminating and prepping for next year! Do some traveling with good friends and enjoy camping with the family! Volunteer at the local library and relax by the pool with several good books! Read and spend time with family. Spend extra time with my family and organize our home. Work in the yard gardens early in the day! Spending time outside with my family and lesson plan for next year. ???? Spending as much time with my family as i can while also preparing for a new teaching job!